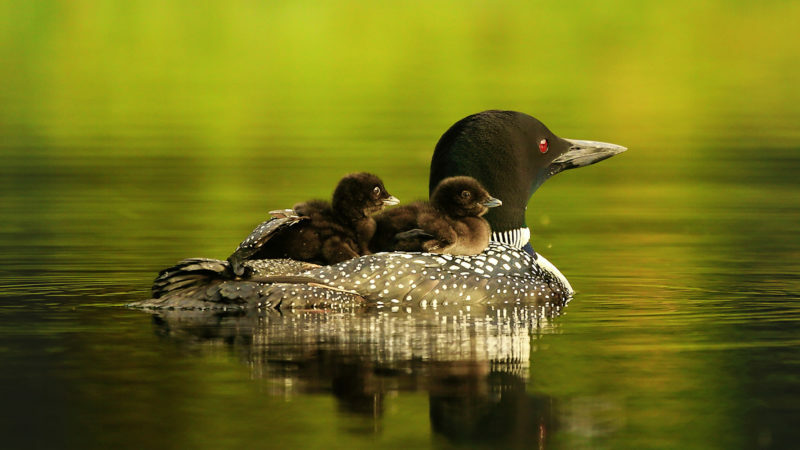 Imagine a northern lake without the haunting calls and awe-inspiring presence of the common loon. It’s a disturbing thought, but in some places, it’s happening. 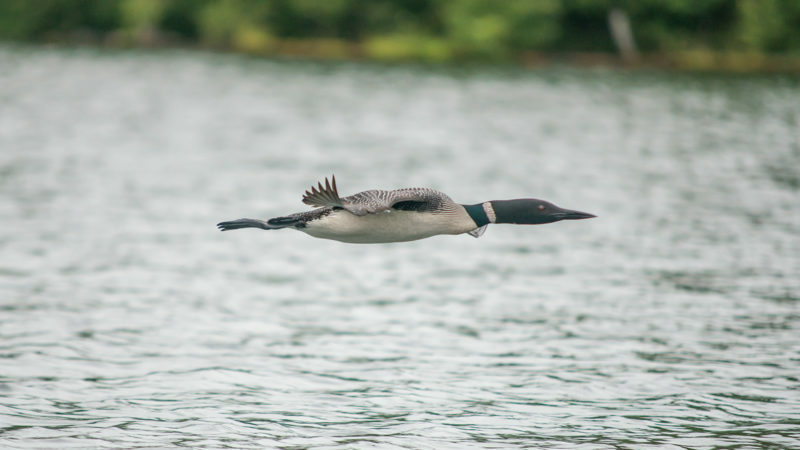 Air and water pollution, loss of habitat, and increasing recreational activities on lakes all pose serious threats to loons across North America, and in some cases are responsible for loons and loon music disappearing from traditional nesting lakes. 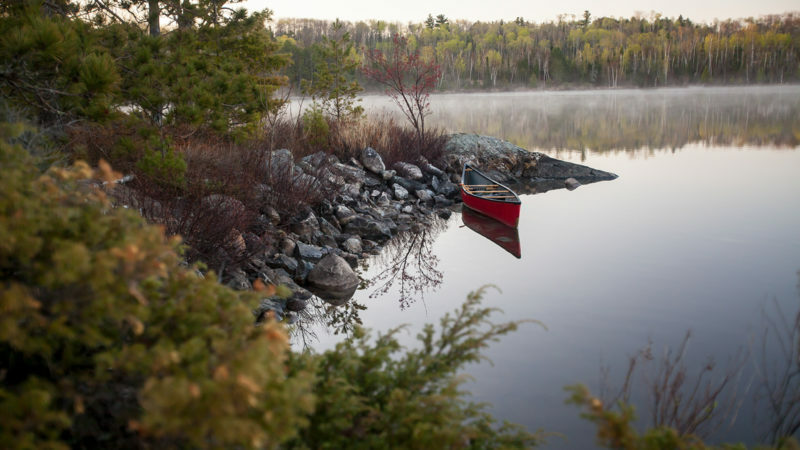 LoonWatch, a program of the Sigurd Olson Environmental Institute, protects common loons and their aquatic habitats through education, monitoring, and research. Our primary focus is Wisconsin, however our education and research activities extend to the Upper Great Lakes region. We support North American conservation efforts by working with loon conservation organizations across the United States and Canada. 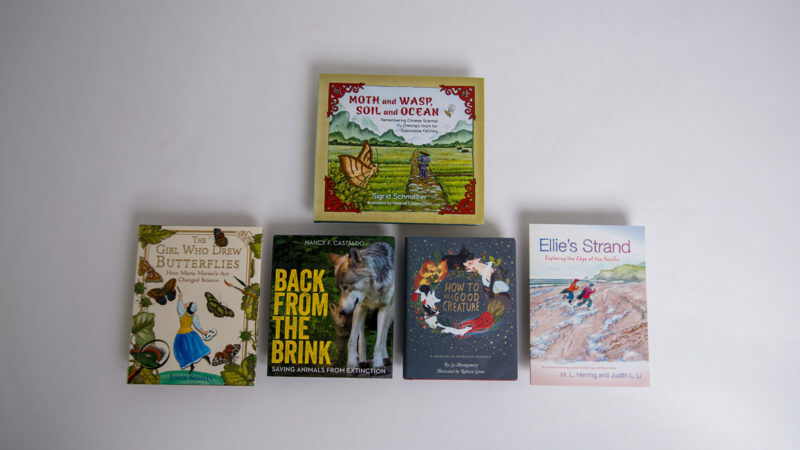 The Speakers’ Bureau helps LoonWatch achieve its mission to educate citizens about loon ecology, current research initiatives, and lets them know what they can do to protect loons. The LoonWatch Speakers’ Bureau is comprised of volunteers who have natural resources and loon monitoring experience, as well as LoonWatch staff who are trained to give professional presentations about loons and LoonWatch. 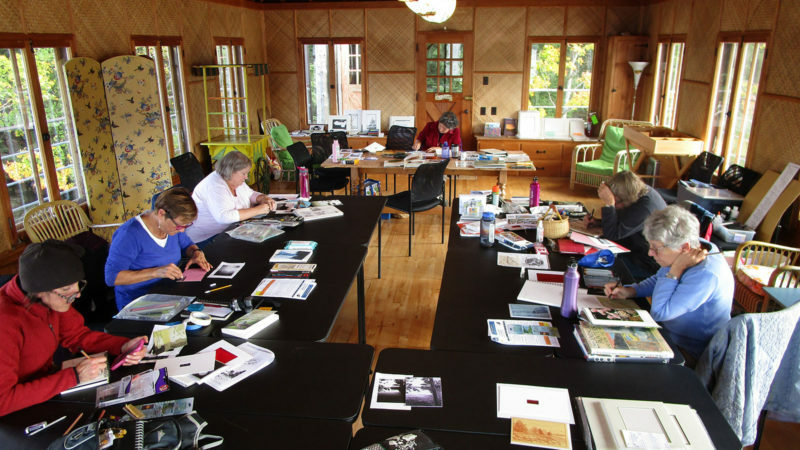 Our volunteers learn to give customized educational presentations for groups like lake associations, schools, libraries, non-profits, and other organizations. To request a presentation, email us. 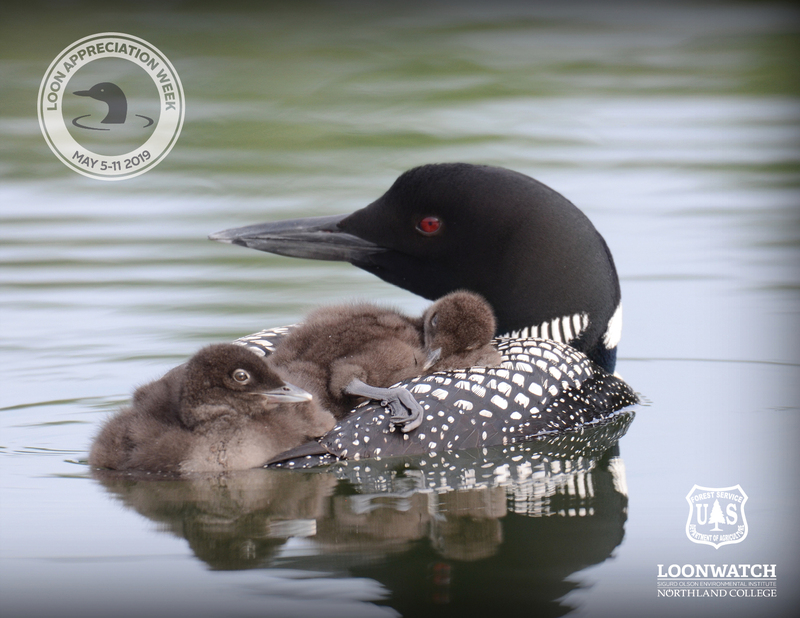 To commemorate Loon Appreciation Week, LoonWatch creates an annual poster featuring a loon photograph. Learn more about ordering posters, submitting a photo, and becoming a poster sponsor. 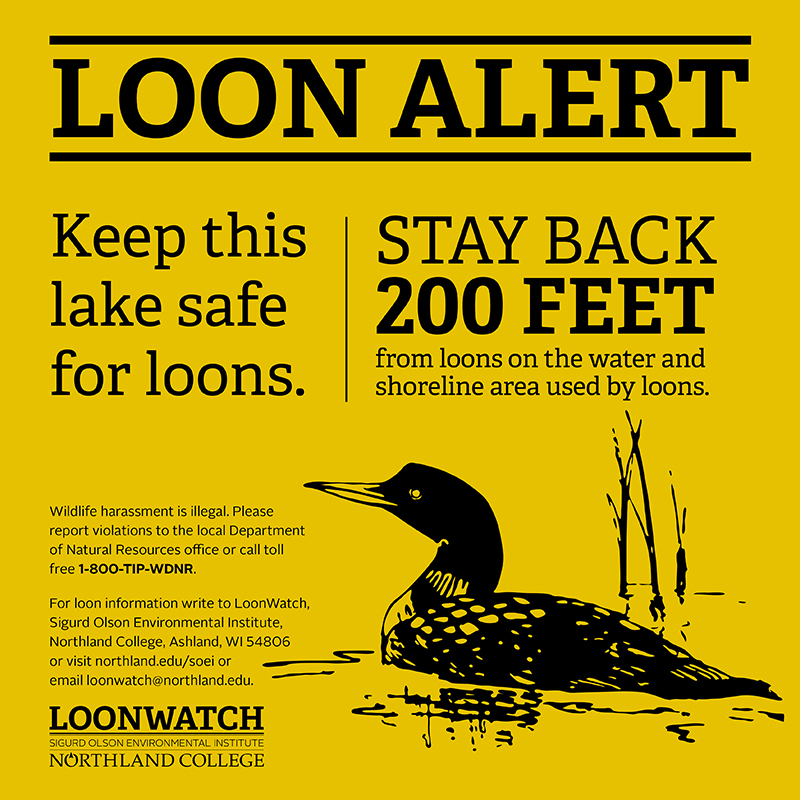 LoonWatch works to educate the public about how they can help protect loons. These signs are designed to be posted at boat landings, marinas, or resorts to help make residents and visitors aware of the presence of loons and how to protect them. Signs are available to the public for $7 each. 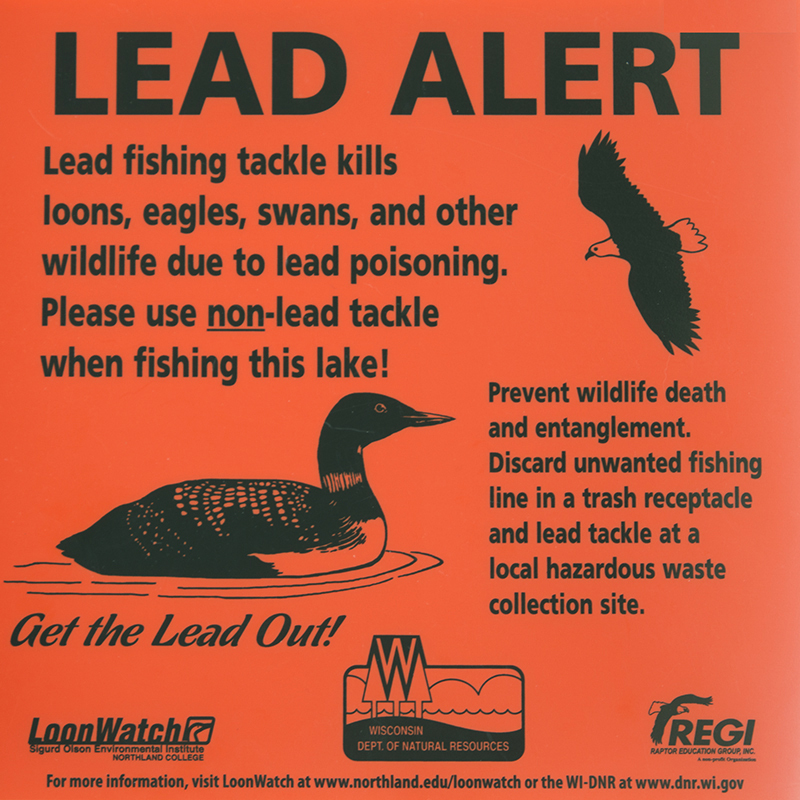 For more information about the program, contact the Northland College Sigurd Olson Environmental Institute by email or call (715) 682-1220.